Teaching children technical skills is no longer a choice, but a necessity. Even living in Silicon Valley, not all children have equal access to technical education or are inspired to learn. Schools frequently lack professional staff who can teach and inspire the next generation. 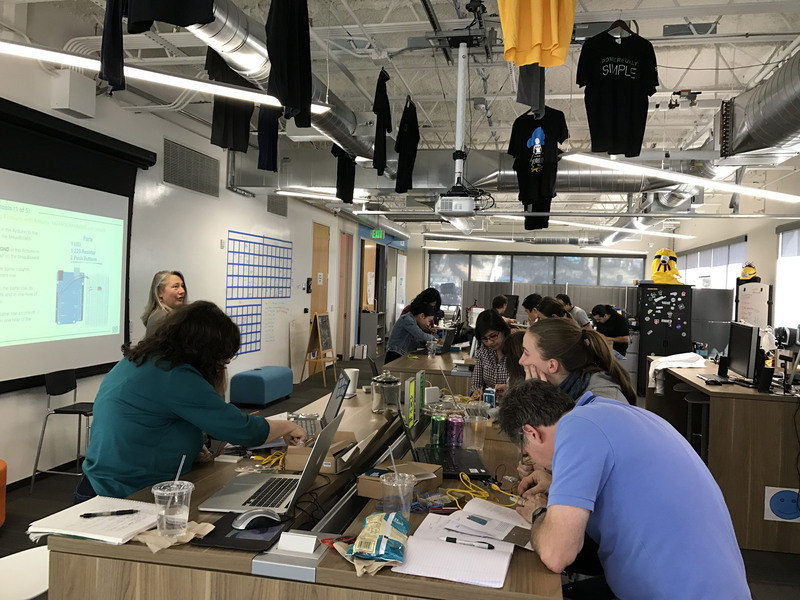 In celebration of International Women’s Day, SAP d-shop Silicon Valley opened up a new opportunity for anyone at sapSV who wants to use their professional technical skills and bring new energy into our overburdened education system. 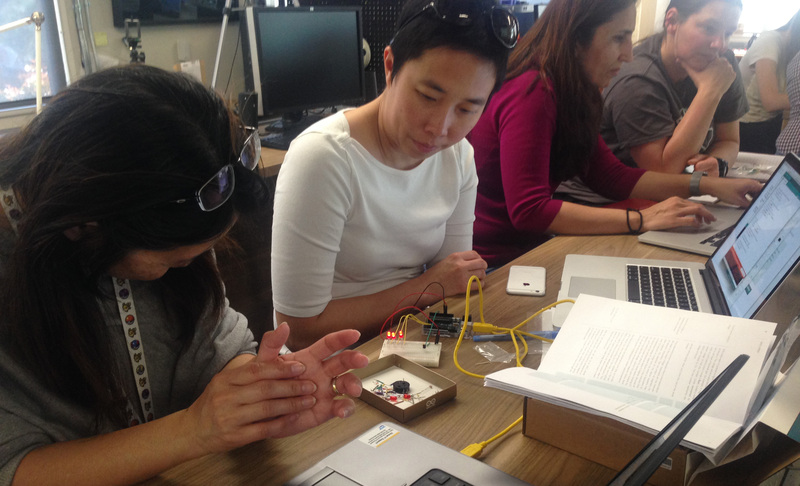 March 8th Arduino STEM Trainer the Trainer workshop introduced SAP Silicon Valley women and men in technology to teaching basic electronics and interactive prototyping skills to beginner middle and high schoolers. Arduino is a computer hardware and software company that builds internet of things prototyping kits for digital devices and interactive objects that can sense and control objects in the physical world. Our Arduino guest speaker, Kathy Giori, shared basics tricks and lessons learned that made our volunteers more comfortable going out and conducting their first workshops at school and communities. 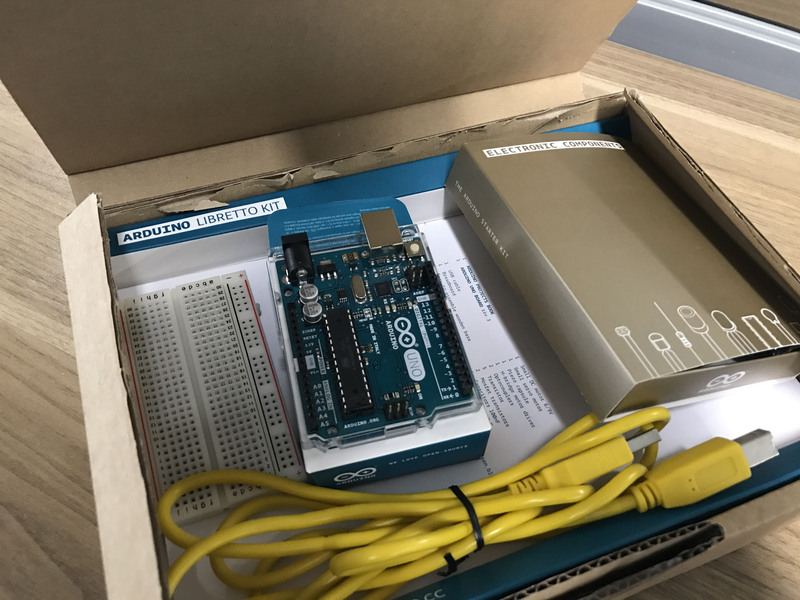 d-shop(SAP internal maker space and developer community) made the first batch of Arduino Libretto training sets available for check out by our volunteers. We will continue introducing more projects you can teach out of the box. Learn with d-shop and open up the world of creativity and new opportunities to our children. This is the great job in the field of teaching code to kids and developing STEM teaching qualities in teachers. Today, world is more focused towards robotics education but lack of valuable knowledge it is not possible. Teaching STEM to kids with the regular curriculum should be done at the elementary level. Thanks for sharing the information.